After re-uniting families with her prompt responses earlier, Minister of External Affairs Sushma Swaraj has now played cupid to ensure that a newlywed couple's honeymoon is not marred. 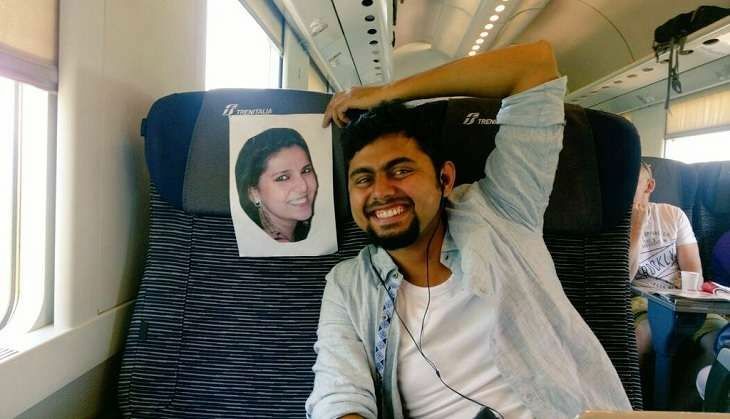 Delhi's Faizan Patel and his wife Sana were all set to go off on their dream trip to Europe for their honeymoon, but when Sana misplaced her passport, Patel was forced to board the flight by himself. So he took to Twitter, lamenting the fact that despite a Schengen visa and the tedious procedure involved in being issued a new passport, it had rained on their perfectly planned honeymoon parade. He posted a photo of himself, with a photograph of his wife in the empty seat next to him, tagging Sushma Swaraj. And she did not let him down. As soon as Parliament session came to an end on 8 August, during which the GST bill was ratified and passed by the Lok Sabha, Sushma Swaraj wrote back to him, assuring Patel that she would make arrangements to ensure he is joined by his wife on their honeymoon. Sushma asked Patel to request his wife Sana to contact her. "I will ensure that she is with you on the next seat," she tweeted back. Patel's plight of honeymooning alone is eerily similar to that of Huma Mobin, a Pakistani woman whose hilarious chronicling of her solo honeymoon took the internet by storm in July. Luckily for Patel however, our super efficient External Affairs Minister swept in to salvage their love story, and doing her bit to ensure a happy ending. As promised, she wrote back to the couple, and promised that a duplicate passport would be issued to Sana the very next day, so that she can join him on their dream vacation.